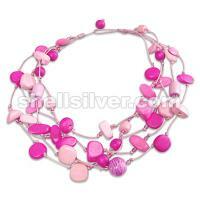 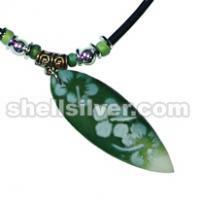 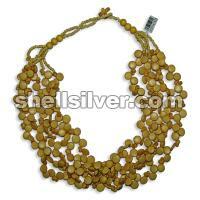 Necklace 19 inches 5 rows in 2-3 mm coco beads yellow, mongo shell yellow and 10 mm coco disc center side drill yellow. 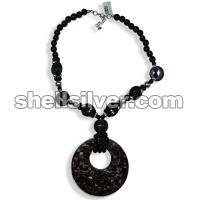 Necklace 16 inches in 8 mm and 6 mm wood beads black, 5 mm silver balls, 20 mm coco pukalet black, 20 mm violet oyster beads blocking inlay and 80 mm violet oyster round blocking inlay pendant. 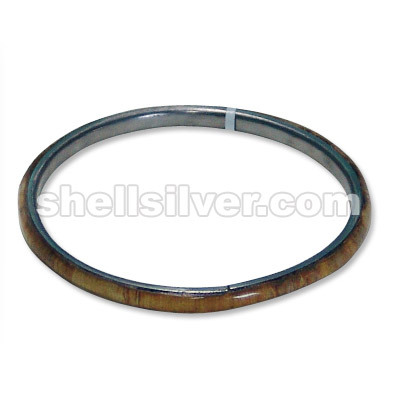 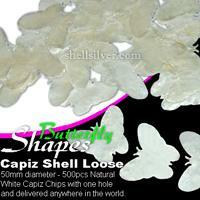 Capiz Shell Natural White Loose 50mm diameter - 500pcs Capiz Chips with one hole and delivered anywhere in the world. 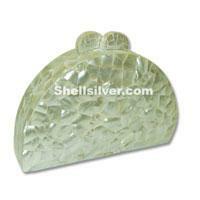 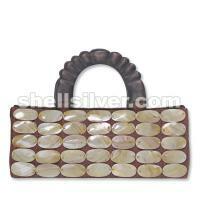 Evening clutch bag in half moon shape design 18cm x 11cm x 5cm made of white MOP shell in crazy cut inlaid design.